I look longingly for Mother Nature’s harbinger of spring, the tiny blue scillas that blanket the dark earth. Not only are they easy on the eye, they lift my spirits. They’re my cue to look forward to the rest of spring’s bounty — asparagus, fiddleheads, fish — I’d go on but I’d just get hungry. When it comes to a perfect wine for spring, there’s no contest … nothing tastes more like spring than Sauvignon Blanc. This varietal is famous as a component of the dessert wines of Sauternes and Barsac in Bordeaux, a partner in dry Graves, and as a sole performer in the snappy dry whites of Sancerre and Pouilly Fumé in the Loire Valley. It’s also grown in pretty much every wine region on earth, usually for dry wine. Sauvignon Blanc has a destine taste profile which has been described as “cat’s pee on a gooseberry bush.” Typical flavours include citrus, melon, pear, lemongrass, herbs, asparagus, freshly cut grass and fig. 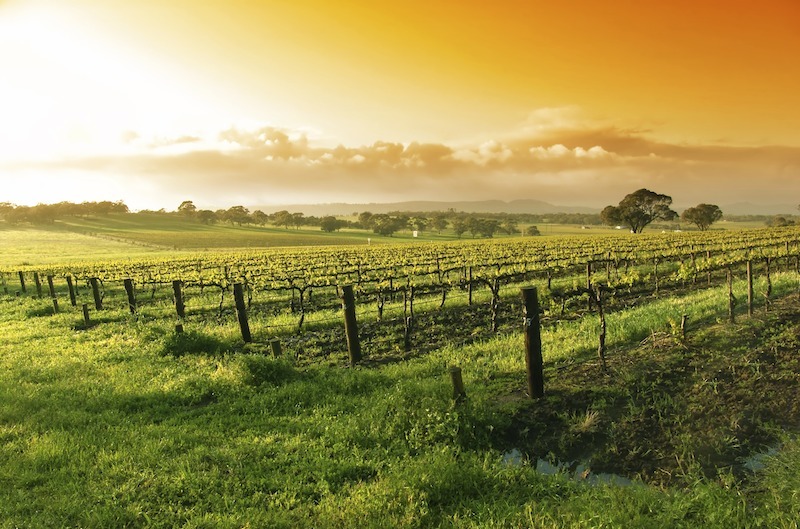 In cooler climates the grape tastes of grass, weeds and hay with gooseberry, grapefruit and lemon fruit flavours. These wines are crisp and fresh in the mouth with acidity focusing the flavours. Warm vineyards yield wild green bean, asparagus and tropical fruit (which is based on higher levels of thiols), fuller textures and softer acidity. One key difference is pyrazine, the class of chemical secreted by ladybugs, which is responsible for the rancid peanut-butter aroma and flavour. In cool-grown Sauvignon Blanc we perceive pleasantly pungent mineral and weedy notes. Hot sites cook the pyrazines out of the grapes, reducing the pungency of wine made from them. Chalk/marl soils push these vines towards richness and complexity. More compact chalk soils impart finesse and perfume to the wines. When grown in gravelly soils it tastes spicy, floral and mineral. These different flavour profiles result from the different chemicals produced by Sauvignon Blanc in the different soils. The palate is succulent. Delivers ripe citrus flavours with an edge of minerality; extremely well balanced. This pale straw-coloured wine focuses the palate on its crisp grapefruit acidity and tropical flavours. The palate is reminiscent of melon and tropical fruit and also has a slight herbaceous quality to round out the flavours. Sheila Swerling Puritt is a recognized judge at national and international wine, spirit and food competitions. She has maintained an ongoing love affair with the industry dating back to university and has taught in Sommelier programs. She was also President of the Wine Writers Circle of Canada.